Wrought Iron fences are nothing more than a means of protecting your property and they serve as an option for secure fencing. This kind of fencing is much more expensive compared to other regular types of fencing but it is ornamental as well. This is one of the reasons why so many people come to our driveway gate company at Bellevue. 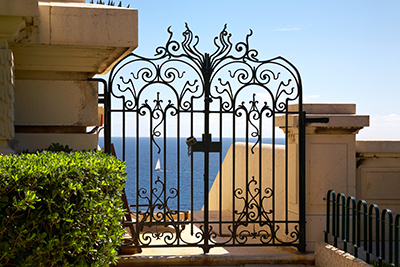 Our technicians do their best when they replace,repair or perform maintenance on wrought iron fences and gates. Wrought iron fences require less maintenance and we can answer all of your related questions at our troubleshooting center. We also provide 24/7 emergency repair service. This is one of the reasons why many people at Bellevue come to us with their needs and we are always happy to help them and provide them with service that exceeds their expectations. Our skilled professionals are fully equipped with advanced tools and spare parts of top quality to provide the ideal fix to any system components. Whether there is a need for chain replacement, rusty panel fix or electric operator troubleshooting, we will do the work with the utmost precision and at great speed. Get top results in case of scheduled repair or via our emergency service. New gate installation is also among our main specialties. Our well organized crew performs all tasks from panel setup to intercom programming perfectly. The end result is optimal operation. The initial results are effectively preserved with our maintenance service which takes care of everything from the lubrication of the moving metal parts to the testing of the electronic devices. The best service our Driveway Gate Company at Bellevue provides its customers are with wrought iron fences and custom made fences that are not limited to go around your property but also a pool fence as well. We provide services for commercial purposesand residential areas. The main reason people use wrought iron fences is not only for security purposes but also for ornamental purposes as well. These custom made wrought iron fences cannot be produced or installed by just any individual or company. It takes a company with years of experience like our driveway gate company, which can help you with the fence installation and fence repair. You can come to us for a variety of fences. Whether you want to go for a plain one or with ornamental design, the choice entirely depends on your style and how much you want to beautify your project. Your driveway and yard could benefit from different kinds of wrought iron fences. Our driveway gates company in Bellevue will extend a helping hand by taking a look at your property and helping you decide what will work best. 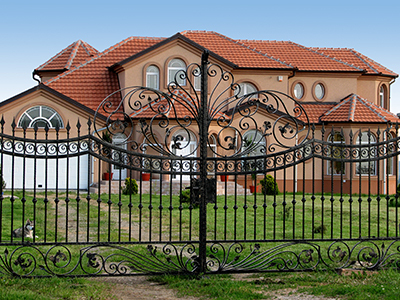 Our driveway gate company in Bellevue will fulfill all of your wrought iron fence requirements. We also offer our repair service forwrought iron fences that you may already have. We have been quite successful in this field and have been conducting our business for a very long time. This is the reason why we are trusted by many customers compared to other companies. Our driveway gate company in Bellevue is considered very reliable because we have very skilled employees as well as contractors working around the clock to assist the citizens in Bellevue. We offer amazingly affordable prices with offers that will definitely blow your mind. Your needs are our number one priority.